Glitter Border Frame on Mirror. Designed and hand finished in the UK. Give your home some minimalist style with this stunning Glitter bordered mirror. 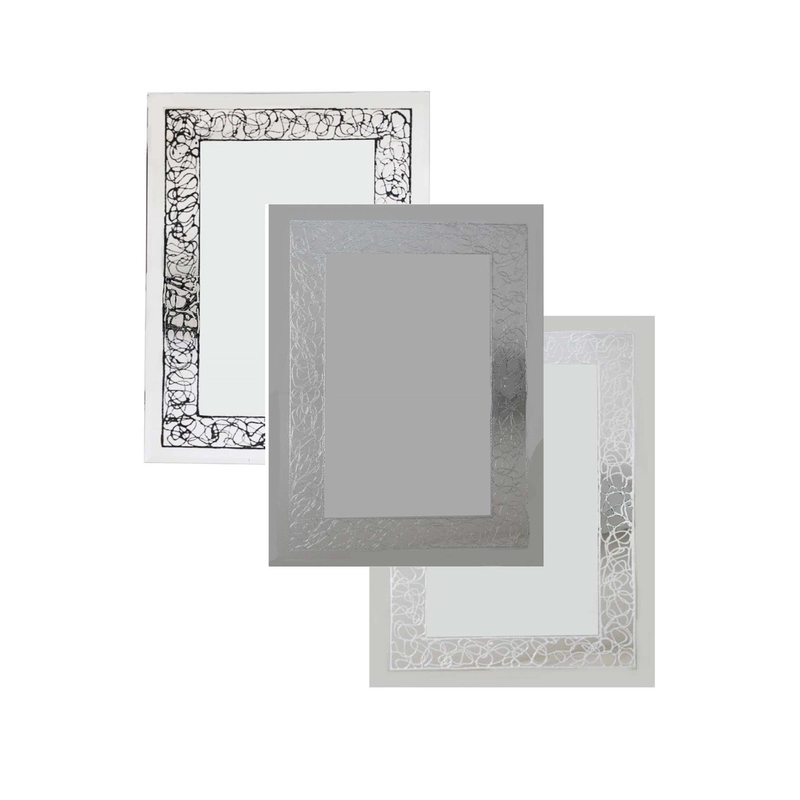 Giving any room some simple glam with the choice of three borders, two sizes and you can even custom size your purchase if you desire. All designs coming with attached brackets and glitter borders, you wont fail to impress with this charming piece.